Both candidates have expressed support for medical marijuana, and have encouraged the federal government to allow more states to vote on legalizing marijuana. Marijuana legalization, both recreational and medical, will appear on the ballot in nine states on November 8. And it's been a hot-button issue this election cycle. 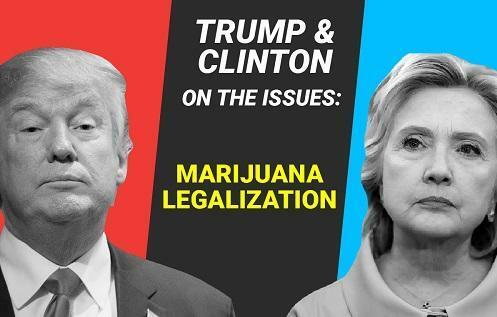 Though this election season has been contentious, both Hillary Clinton, the Democratic nominee, and Donald Trump, the Republican nominee, have similar thinking on the issue of marijuana legalization.